Jean was born to Owen M. and Clara Carter Roderick. She graduated from Stephens College in Columbia, Missouri and the University of Akron, Ohio, before marrying William A. (Bill) Wilson in June, 1947. They moved to the Midwest when Bill began working as a Chemist at the Standard Oil Company, and raised their family in the town of Griffith. Jean and Bill spent three years in Tokyo, Japan before moving back to the Chicago area, and then three years in Brazil before settling in Burr Ridge. Jean became active with P.E.O. in addition to her volunteer service to the Methodist Church. She moved to Vero Beach about 6 years ago and then to the Harbor in 2017. Jean is survived by her sister, Gwynn Ennis, of Cuyahoga Falls, Ohio, sons Rod (Chris) in Greensboro, Georgia, and David (Barbara) in Vero Beach, Florida, as well as her three granddaughters, Becky, Natalie (Andrea Oggioni), and Laura, and her great-grandchildren Jack and Emily. She was preceded in death by her parents, her husband Bill, and her grandson, Greg. 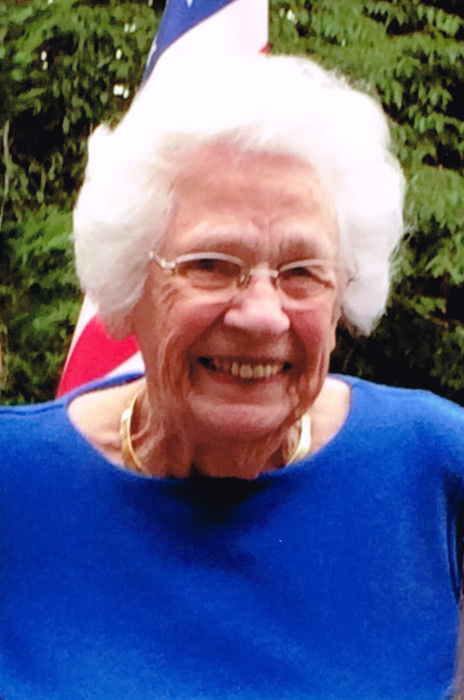 A funeral is scheduled for 11:00 on April 13, 2019, with a reception to follow at Rose Hill Funeral Home, Akron, Ohio. All are welcome to attend and celebrate Jean’s life. In lieu of flowers, please send donations to Hinsdale United Methodist Church, 945 South Garfield, Hinsdale, Il 60521, the P.E.O. Foundation, 3700 Grand Avenue, Des Moines, Iowa 50312 or the Hibiscus Children’s Center, P.O. Box 12489, Fort Pierce, FL 34979. The family would like to thank all of the caregivers and staff at the Harbor of Harmony Crossing and her helper Sandra Crutchfield for their continual loving care. McCommons Funeral Home, 109 W. Broad St., Greensboro, GA, (706) 453-2626, is in charge of arrangements. Visit us at www.mccommonsfuneralhome.com to sign the online guest register.